Sign up to be on our mailing list to be informed about news, upcoming events and latest updates. 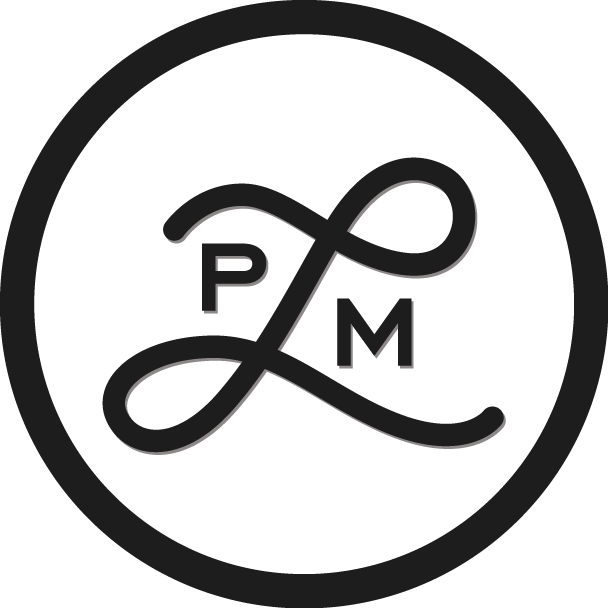 We offer 15% off ALL DAY for uniformed and valid military ID guests at Liberty Public Market. Every Sunday from 1pm - 4pm on our dog-friendly patio! Enjoy select $5 happy hour bites from our market vendors!  Managed by Blue Bridge Hospitality, Liberty Public Market first opened in 2016 as San Diego's first 7-day a week public market located in Point Loma's historic Liberty Station. Our goal is to be the central market place of the region where locals and visitors alike can immerse themselves into the work of the best artisans around. Explore, taste and experience our diverse fare of offerings from our 30+ carefully selected artisan vendors. We also have a number of local events, including our Live Music series on the lively, dog-friendly market patio every Sunday from 1pm-4pm. Additionally, in support of the Arts District Liberty Station, our market walls proudly feature art by local artists. Our 30+ vendors are carefully selected to offer the best of what San Diego has to offer in support of local businesses. These artisan vendors range from debut brick-and-mortar outposts from local food trucks to farmers market favorites' first storefronts, and expansions of existing businesses and brand new food concepts. We are continuously growing and evolving to bring fresh options to the market. 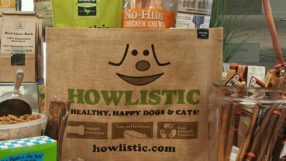 Howlistic is San Diego's premiere natural supply store for dogs and cats providing only the highest quality pet food and supplies. 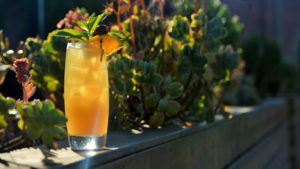 Mess Hall Bar is home to San Diego's most talented bartenders offers innovative seasonal craft cocktails, beer and rare wines. 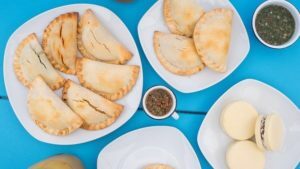 Paraná offers authentic Argentinian empanadas developed from family recipes adapted for California palate. 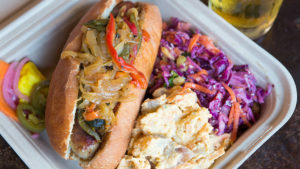 Specializing in handmade craft sausages, Mastiff Sausage Co. uses all natural, hormone free meat in their sausages and other specialty menu items. 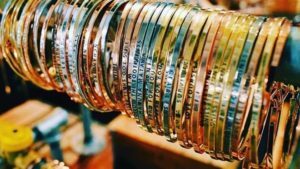 Friction Jewelry Inc is a design boutique, offering a mix of custom, handmade sterling silver and gold vermeil jewelry as well as fashion jewelry. 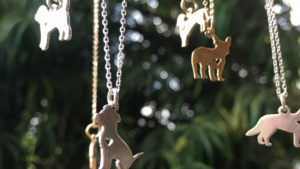 Many of our pieces can be personalized while you wait! 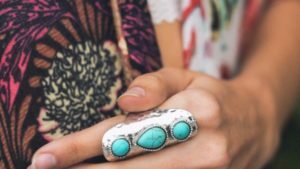 Double Happiness Jewelry & Home designs and manufactures high quality jewelry, handbags and home accessories using rich gold and silver metals, earthy and powerful semi precious stones, sumptuous leathers, and other organic materials. 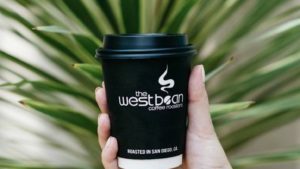 WestBean Liberty Public Market is a to-go only cafe, but offers our full coffee menu. 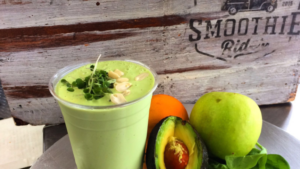 Grab a nitro on tap as you wander this popular dining destination or grab a tea before hitting up the great activities all around Liberty Station. 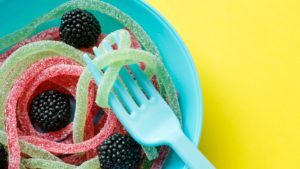 Everything a sweet tooth could wish for — bulk soft sour candies, belts, gummy bears, licorice, locally handmade chocolates & more! 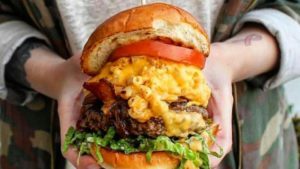 Grass-fed stuffed burgers, sandwiches, tater tots, and more, all covered with cheese. 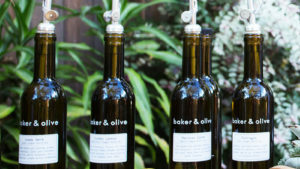 Baker + Olive is known for its tasting pantry featuring premium olive oils from around the world and aged balsamic vinegars from Modena, Italy. 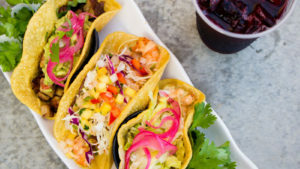 Gourmet tacos, handmade tortillas and regional Mexican cuisine. 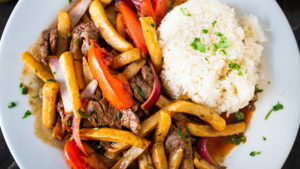 Delicious and authentic Peruvian cuisine prepared by Chef Tony Kanashiro. 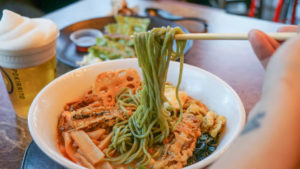 RakiRaki Ramen LPM brings a quick-service version of our famed ramen shop to San Diego’s popular food hall, Liberty Public Market. 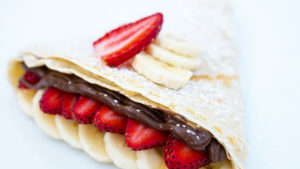 Olala Crepes offers freshly prepared, high quality, savory and sweet crepes made from organic buckwheat flour imported from Brittany, France. Artisan Popcorn, made with real ingredients, the best way possible. All of our products are made using the finest ingredients obtainable; that means real butter, brown sugar, and real cheese. Bringing the freshest California has to offer into every cup made with fresh, seasonal and locally grown fruits and vegetables. 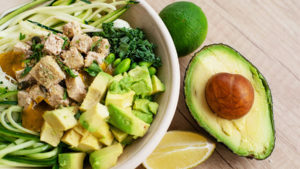 Local Greens offers a menu of salads, wraps, bowls and burritos that rely on organic ingredients sourced from local farms. 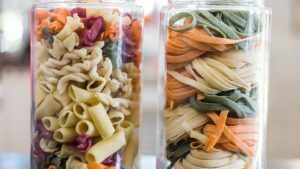 It is also committed to using 100 percent plant-based compostable packaging. 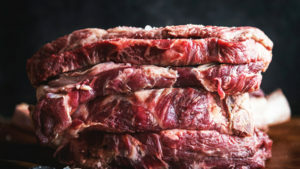 Liberty Meat Shop provides the opportunity to create a relationship with your local butcher, ask the questions you need to know, and receive guidance when picking up your next meal to grill. Their philosophy is to do business the old fashion way: to have top quality meats, and old fashion values. 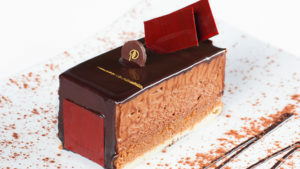 Le Parfait Paris is driven by the passion and precision of French pastry and reflects a culmination of Parisian-inspired dishes, from flavorful macarons and freshly-baked croissants to baguettes and fruit tarts, using only the freshest ingredients all steeped in centuries-deep French tradition. NobelRags is built on inspiring innovations through clothing, accessories and more. NobelRags donates a $1.00 of every sale to 6 organizations. 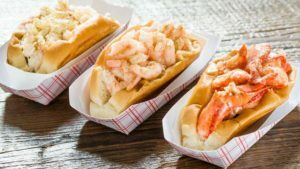 An East Coast style seafood shack, serving up Fresh Maine Lobster dishes, and fried food baskets! 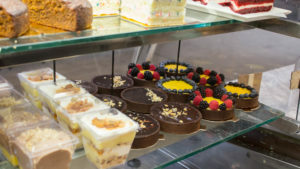 An open-air showcase and exhibition kitchen where you can watch the pastry artisans in action! Sweet and savory baked goods including cakes, tarts, pretzels & more. Pasta Design combines local ingredients & three generations of experience to create the finest hand crafted, organic pasta and ravioli. 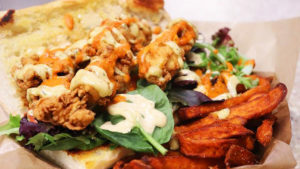 Cane Patch Kitchen offers rich authentic southern dishes. 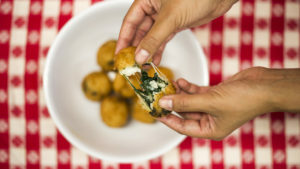 All of the dishes prepared for you come from family recipes dating back to 1912. 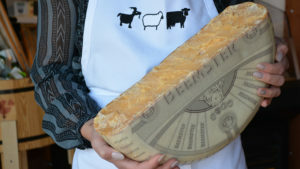 Venissimo offers signature grilled venini cheese sandwiches, cheeseboards, charcuteries, jams, crackers, chocolate and picnic packs to enjoy on Liberty Station’s green spaces. 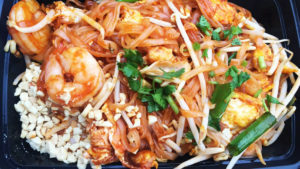 Thai food made from fine, fresh & locally grown ingredients combined with mom's secret recipe. Healthy food doesn't have to be boring or bland; Mama Made's dishes are full of flavor yet delicately seasoned just like the way mom made! 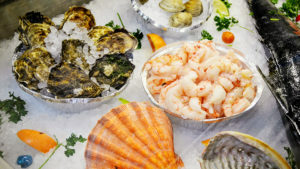 Enjoy raw oyster and crudo presentations as well as crab and fish salads, ceviches, escabeches, and uni at the 12-seat raw bar. 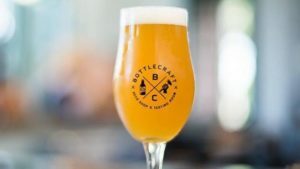 Bottlecraft is a bottle shop and bar that curates the best local, domestic and international craft beer. 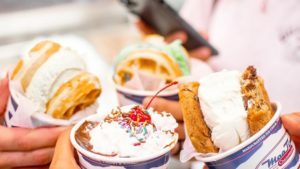 Scooped serves America’s favorite dessert — ice cream — in handcrafted, unique nostalgic treats and an assortment of ice cream flavors including silly vanilla, coffee, brownie batter and sorbets in forest berry and mango. 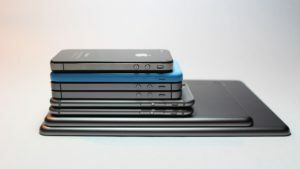 Specializing in iPhone repairs and accessories, DevicePros at Liberty Public Market can fix your broken screen and return your smartphone to working order with high quality parts at an affordable price.